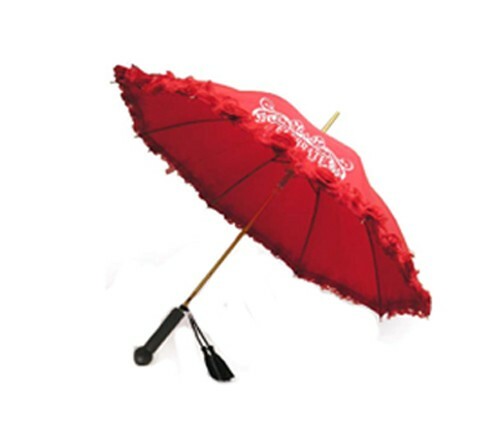 Personalized 46 wedding red floral ruffles umbrella parasol with gold frame makes a choiceful gift during bridal shower parties because girls simply love them. 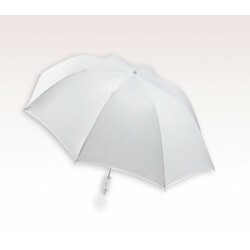 This umbrella makes a good fashion accessory and shelter for colorful bridesmaids who share center stage with the bride. 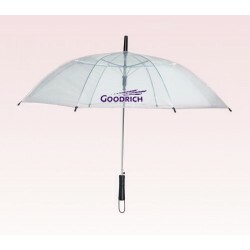 This large 46” arc and automatic umbrella can dazzle anyone with its elaborative styling complete with floral ruffles, deluxe tassel embellishment, as well as gold finish on its ferrule, tips, and frame. 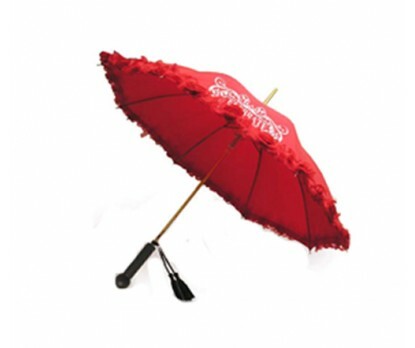 Bridesmaids will be proud to clutch the opera style ebony wood handle of this parasol while striking a pose. Couples who are looking forward to hand down custom 46 bridal shower wedding red floral ruffles umbrella parasol with gold frame can use the imprint area 5 H X 5 W to express themselves.